Brandon, who normally goes by Babbit, is an ambitious filmmaker and a passionate storyteller. In the last few years he has worked on numerous features and network episodics as a member of IATSE local 491. Babbit enjoys meeting new people and listening to the stories they have to tell. When he isn’t burning the midnight oil for Das Haus, you can usually find him cooking meals to share with his friends and family. 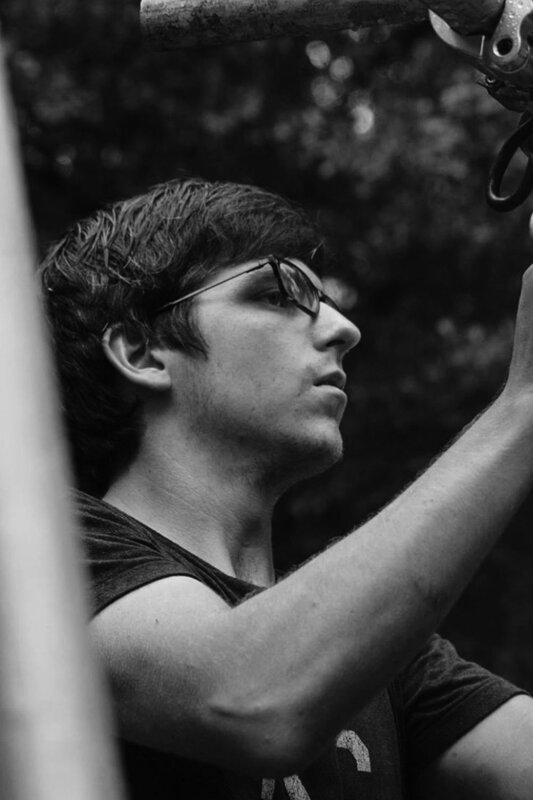 Gavin is a cinematographer and passionate dolly grip based out of Savannah, Georgia. He is a member of IATSE local 491 and has worked on over a dozen feature films and several network television shows. Gavin also occasionally works as a freelance motion graphics artist, where he got his start in the video industry. He holds a BFA in Film and Television from the Savannah College of Art and Design. After growing up on the west coast, Dylan came to the east coast to earn his Bachelor’s in Film & Television from SCAD Savannah. When he’s not working on Das Haus, Dylan can be found gaffing short films and passion projects for his friends, going on hikes, and moshing his way through metal concerts. Sawyer was born and raised in rural upstate New York. It wasn’t until high school that he discovered film and became completely enamored with the medium and its ability to tell stories. He is currently a member of IATSE 491 and has spent the past years working on numerous feature films and TV shows. He is a steadicam operator, SOA member and spends his weekends on short films and music videos. When he isn’t working on set he enjoys biking and listening to obnoxiously loud music.